She remembers when explosions were loud and frightening, her little dog was afraid and shivering and she used to take him on her lap and caddle him. She was sad having left her house and all her toys, now, the only one she found back is this little doll. 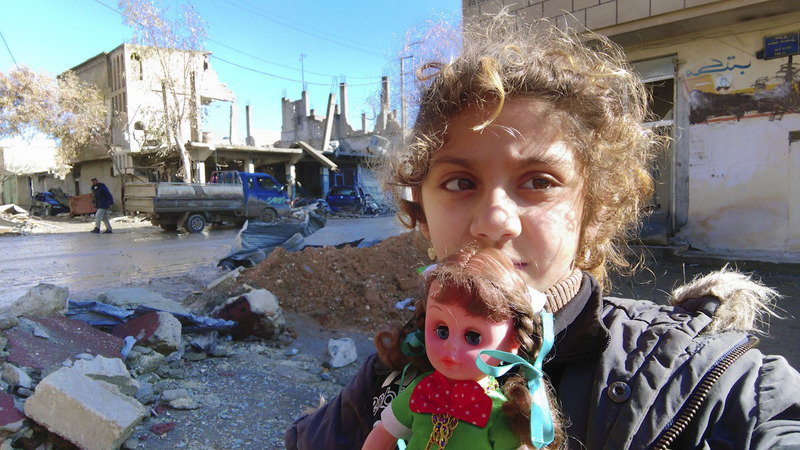 On the way back home, she saw her school, totally destroyed; she hopes they can rebuild it again soon, because she wants to find her friends back.